CHICAGO, IL – September 5, 2018 – TBI announced today that Scott Kamper, formerly of Easton Telecom Services, has joined TBI as a Channel Manager, supporting agents in the Ohio area. In this role, Scott will work with agents developing business plans to reach their company’s growth goals. He will also support these agents with TBI resources, including in-person training, technical support and marketing tools as well as recruit new agents to be a part of TBI’s network. Scott has spent more than twenty years in the telecom industry, most recently as National Partner Manager at Easton Telecom Services—Ohio. 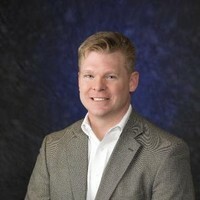 He’s also worked for First Communications as Director of Carrier & Channel Sales, Time Warner (Spectrum) as a Channel Sales Manager, and US Signal as Senior Sales Engineer, Carrier and Channel Sales. He’s worked directly with carriers in the channel for the past 10 years as both a channel manager and a sales engineer and has enjoyed working with a diverse group of partners, both large and small. Scott is a graduate of Kent State University and completed his MBA at Franklin University in Columbus, Ohio. He has competed numerous industry related technical training curriculums and is also a certified private pilot. Scott is very active in his children’s lives, coaching his son’s youth wrestling team and supporting his daughter’s in their band, cross country, and track activities. Scott also enjoys rehabbing homes and dabbling in real estate ventures in his spare time.